This guitar was made by Antonio de Torres Jurado (1817-1892), regarded as the father of the modern Spanish guitar. It was made in 1884, in Almeria, on Torres’s second age. 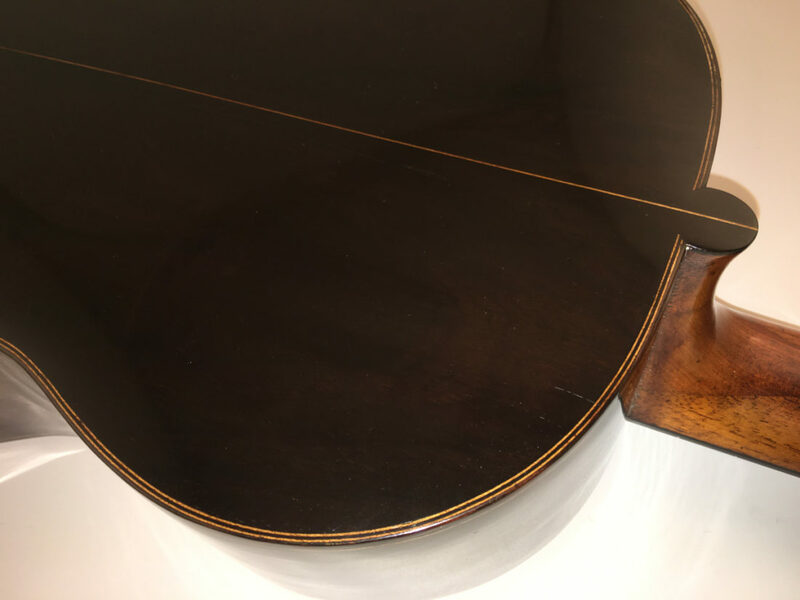 This luthier succeeded in breaking the making standards inherited, rather developing his own making systems, and thus resulting in a superb instrument, which is still a benchmark. This great creativity led Antonio de Torres to be considered the best guitar maker in the whole world, and his intruments were renowned, praised and admired by the best performers back then, such as Francisco Tárrega, Julián Arcas, Federico Cano or Miquel Llobet, among others. Even today, Antonio de Torres is considered the most influential maker on the Spanish guitar as we know it. In any case, he is one of the greatest genius in history, indeed. “The Invincible” was one of the most prominent gems of Federico Cano’s collection (1838-1904), a guitarist whose guitars were exhibited in Sevilla’s Exposition (1922). Federico Cano was one of the most relevant musicians of his time. He owned one of the most important collections of guitars made by Antonio de Torres. 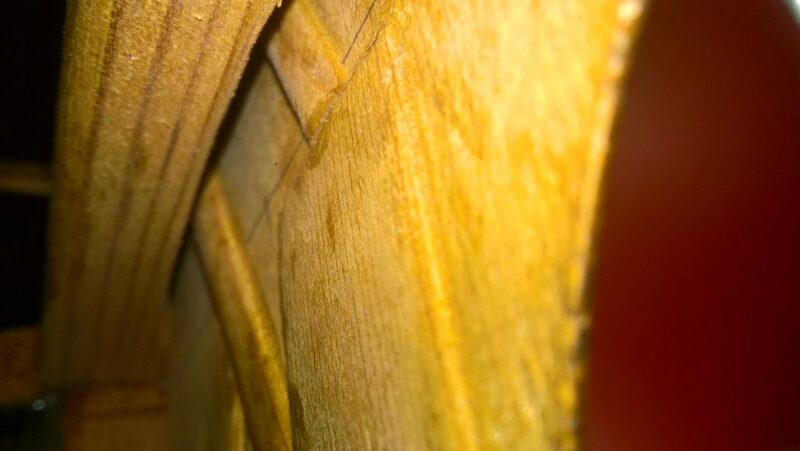 We could say Federico Cano even influenced the very making of Torres’s instruments, as they are incomparable pieces, customized, and distinguished by the musician from the rest of the luthier’s production. 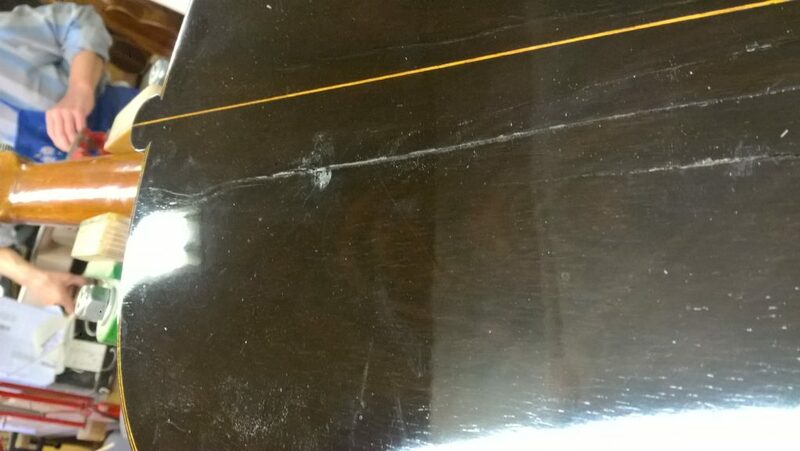 It is worth mentioning that this guitar is perfectly described and backed up with documentary evidence in the book “Antonio de Torres, Guitarrero, su vida y obra”, (Antonio de Torres, guitar maker, life and work), by José L. Romanillos. 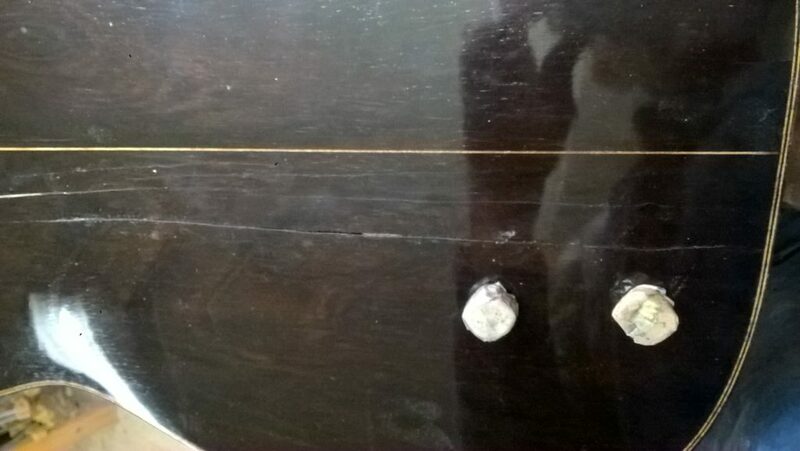 The guitar was declared National Heritage. 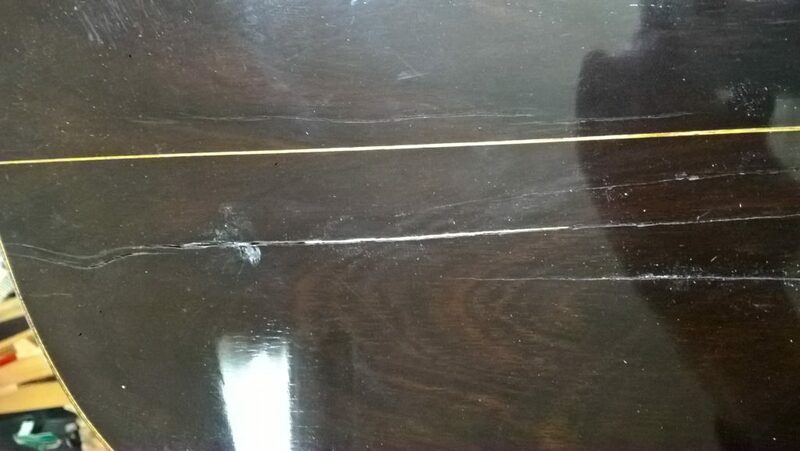 The woods chosen for this guitar are really select, impossible to be found nowadays. 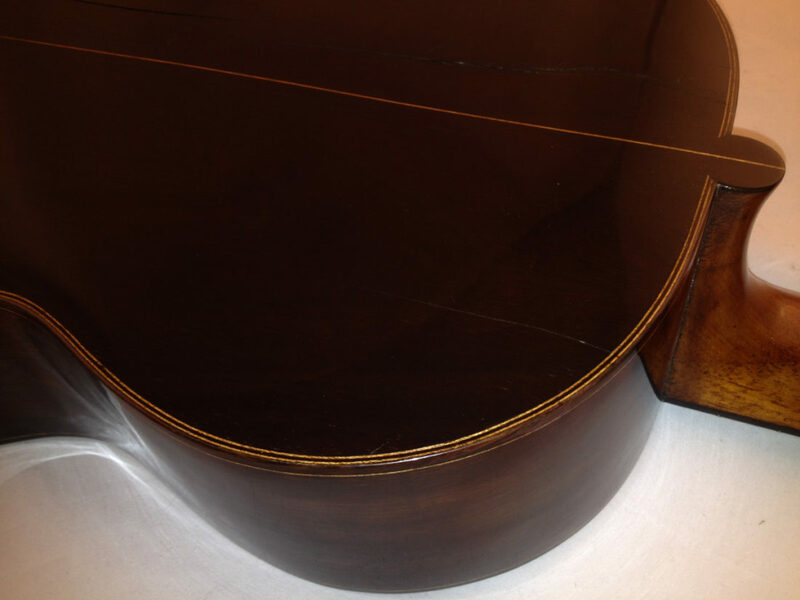 The spruce top is made up of three parts: two on the sides, and a narrow one inserted in the centre. This is due to the difficulty of that time to find tables wide enough to make two equal tops of the same size, as would be the usual today. 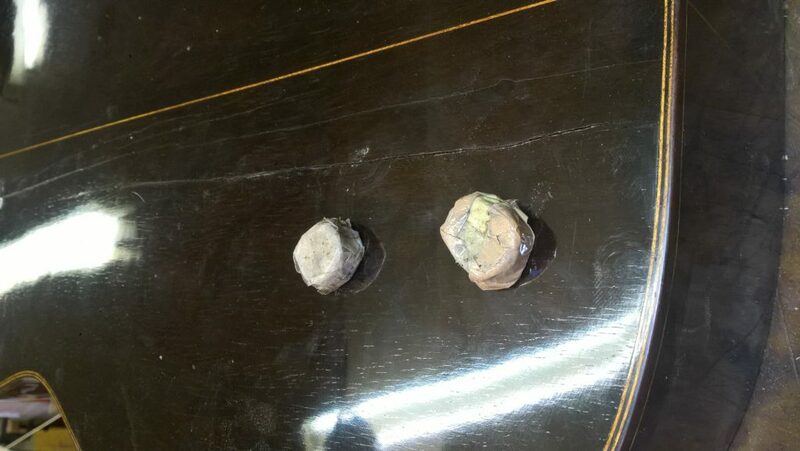 That is the reason why tops of three ore ven four pieces can be found in Torres’s instruments. 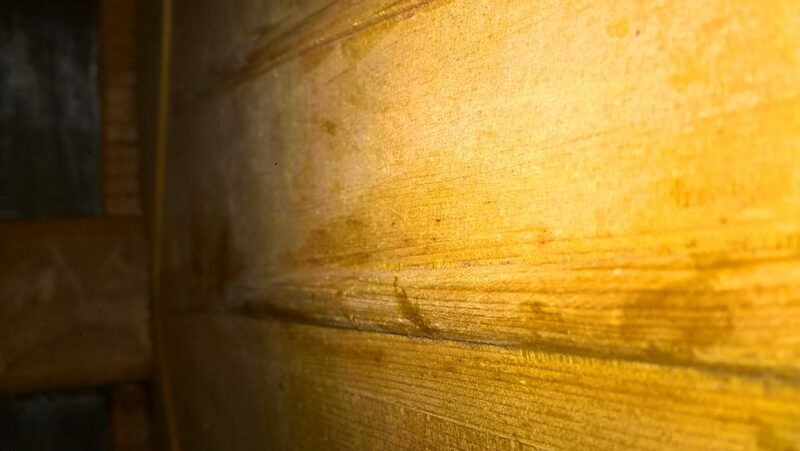 The grain is very thin, straight and uniform all along its surface. Only 7 out of the 24 rosewood guitars made by Torres belong to the second age, and this is one of them. 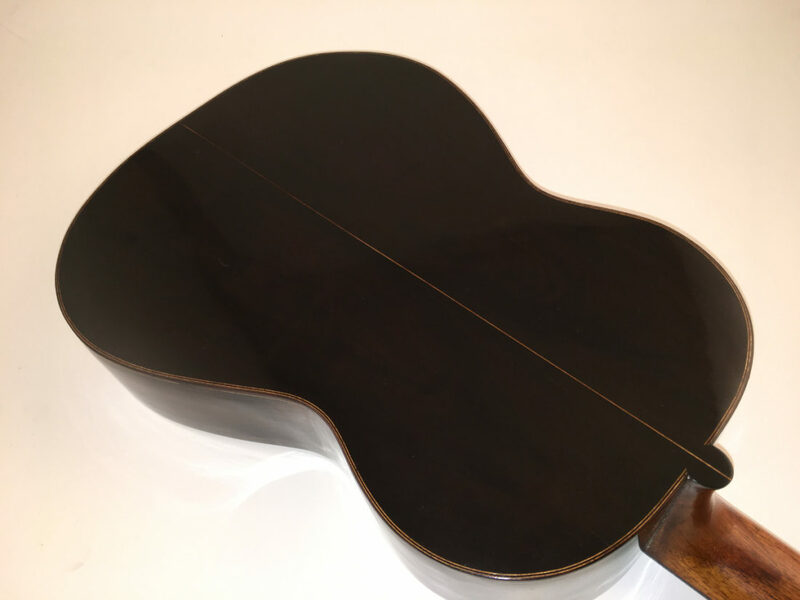 The back and sides (with two parts) are made of really homogenous Brazilian rosewood, of black color with a beautiful chocolate-coloured shade. 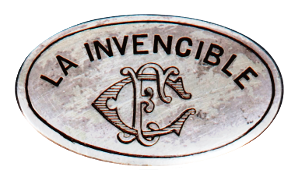 A silver plaque can be found on the head of the guitar, with the monogram “FC” (Federico Cano) and the name “La Invencible”. 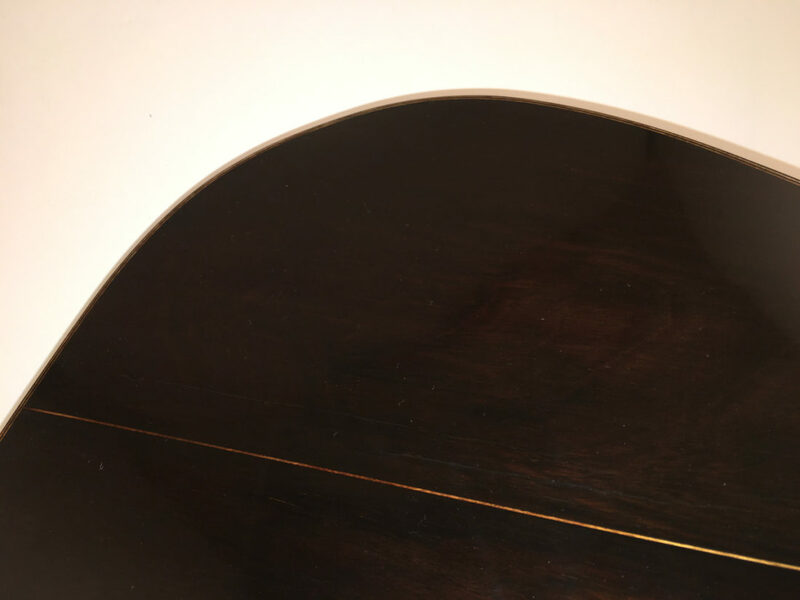 The bridge has two embedded spots of mother of Pearl, providing the guitar with both beauty and distinction. 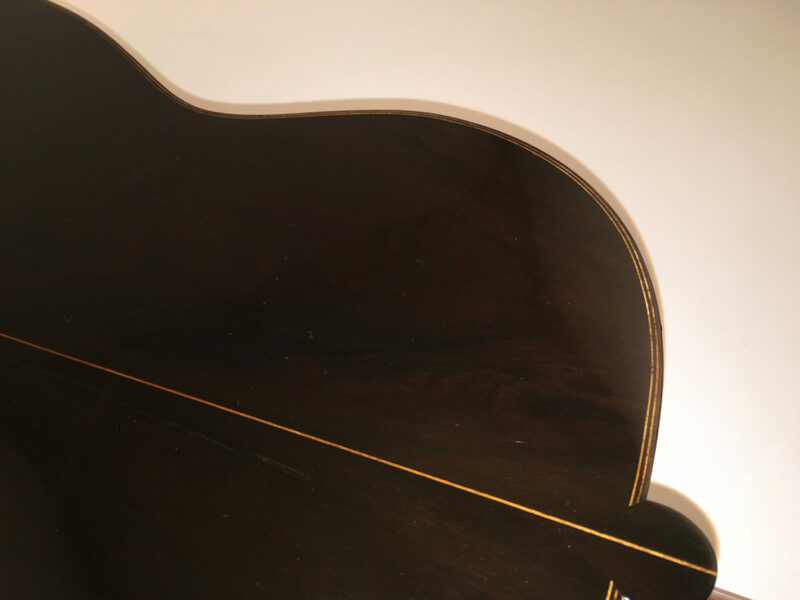 In this new year and with this project already in mind we decided to perform a restoration of the guitar, from the utmost respect and fully preserving its making and acoustics qualities. This is why we have counted on Gabriel Lodi’s help. 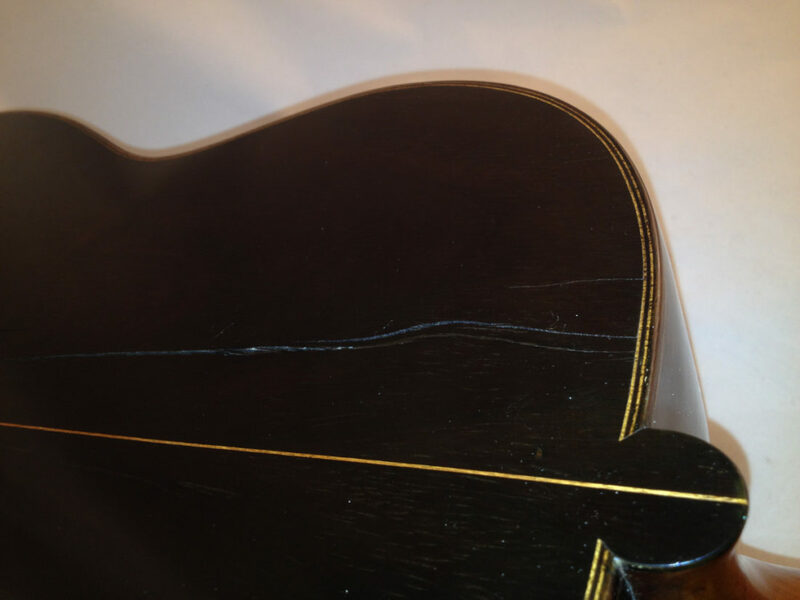 He is a master luthier, and one of the few people skilled enough to carry out a restoration this important. 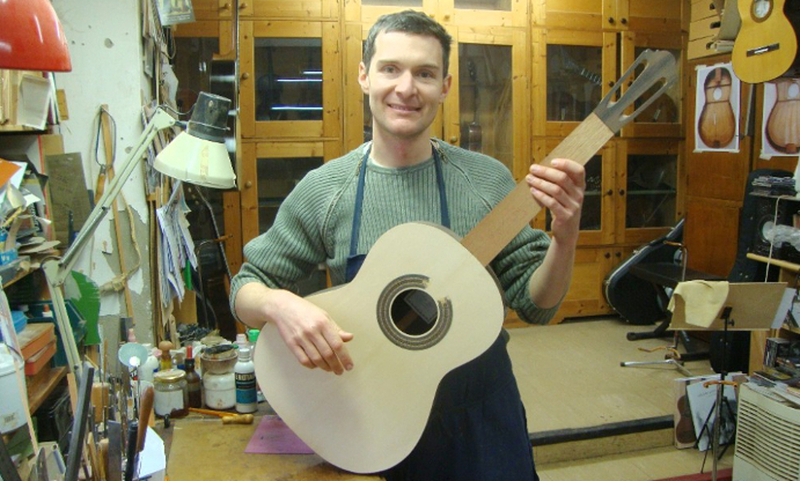 Gabriele Lodi started in the guitar maker business with his father. He always felt attracted to the old instruments entering his father’s workshop, which led him to study the instruments and music of the romantic period. He also concluded that composers of this time were highly influenced by the instruments they played: Giuliani with Fabbricatore and Stauffer, Legnani with Stauffer, Sor with Pages, Martínez, Panormo, Lacote. Aguado with Laprevotte, and so on. 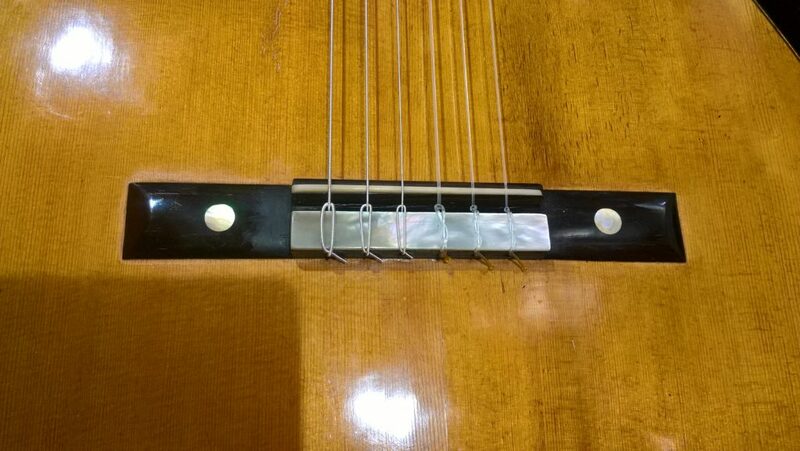 Nowadays he restores a great amount of Spanish and romantic guitars. 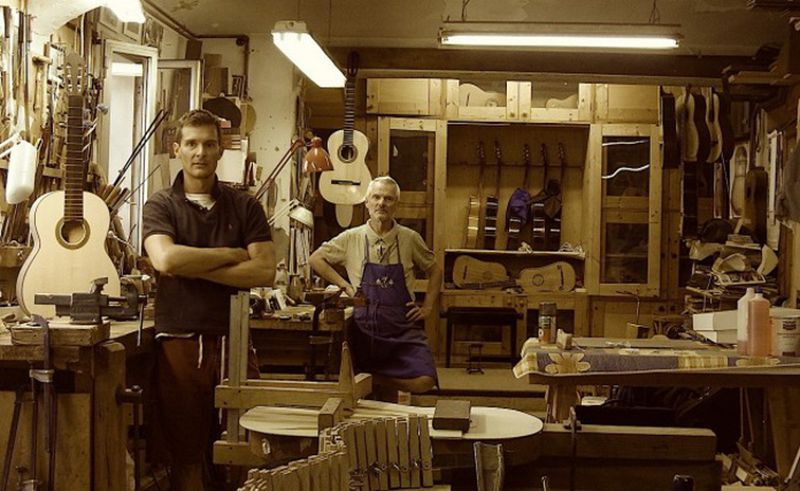 His workshop has become a meeting point for guitarists and collectors all over the world. 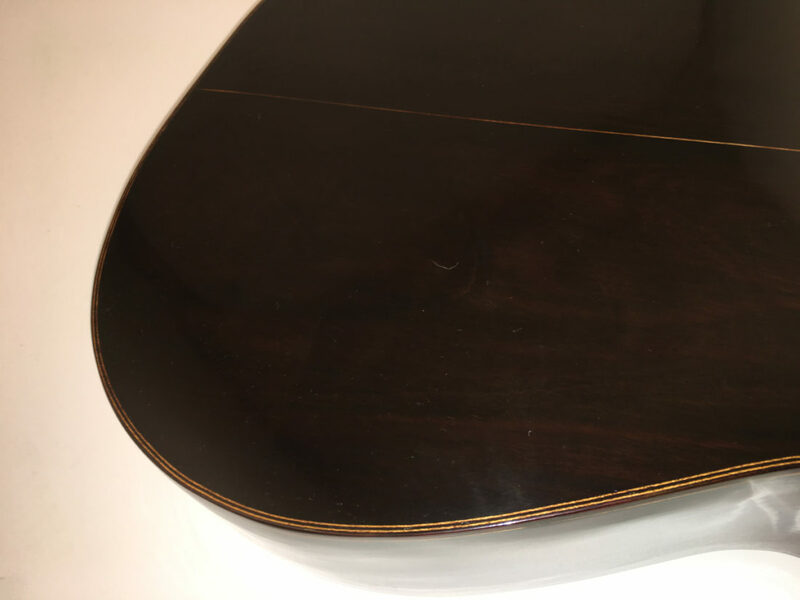 In order to be able to perform the restoration of The Invincible, Gabriel Lodi decided to work on it without disassembling it, so the acoustic and feel qualities remain equal. A task with an extremely high level of difficulty, which very few peple are skilled for. 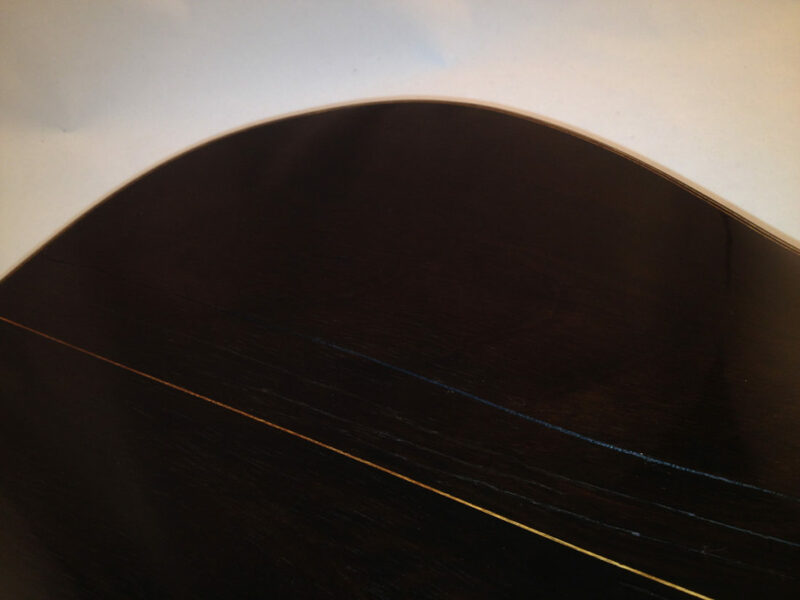 Now we will show you a little gallery with pictures before and after the restoration process, where all of you will be able to see the delicacy in the work of this genius luthier, who we will always be grateful to.